RegRun Suite is a complete computer security software. RegRun Platinum includes 24 system utilities for computer protection against Rootkits/Trojans/Adware/Spyware components. It increases the speed of Windows boot-up process, making the computer management easier. 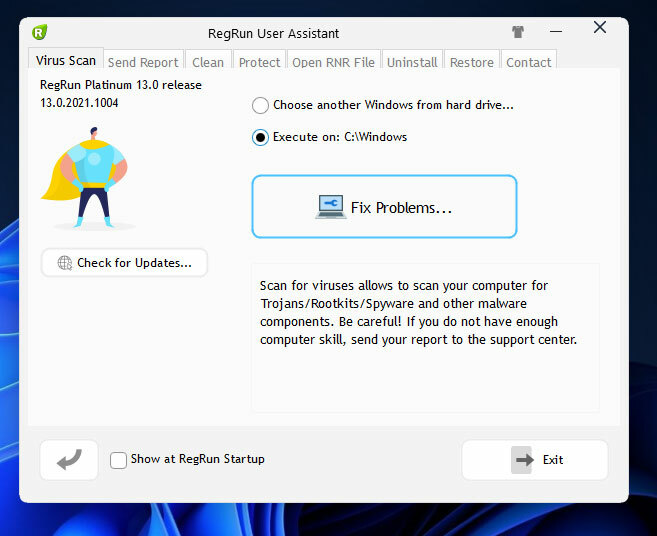 RegRun Suite is compatible with all known antiviral software and may be used to improve computer security. RegRun works with all Microsoft Windows platforms: Windows 95/98/ME/NT4/2000/XP/2003/VISTA/Seven/2008. RegRun Platinum license is lifetime. All new versions/updates are for free.